Were there two hero ESB Helmets for the production of Empire Strikes Back? As I'm watching the movie, there seems to be one helmet that has a brighter gun metal gray, and then another helmet (once they're at City in the Clouds) that's much more dark - a charcoal gray to go with the black. The gun metal in the nose tip pops so much more in these CitCs scenes, and the rest of the helmet seems so much more dark and brooding. 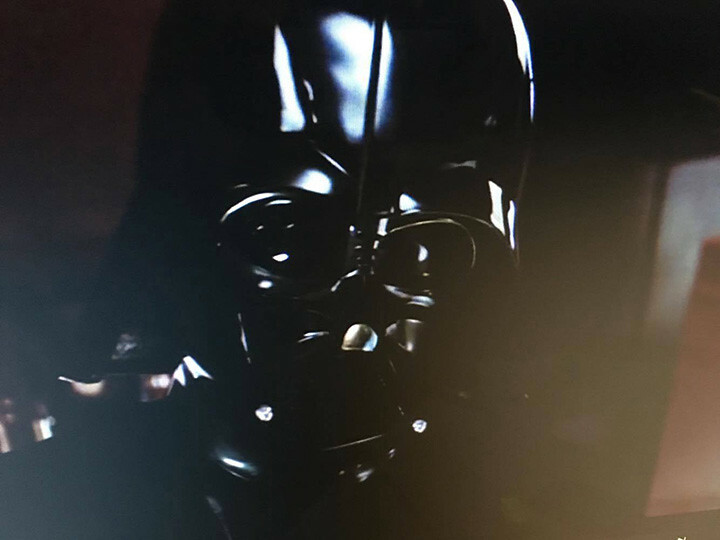 Then when Vader returns to his Star Destroyer at the end of the movie, as he's having his mind melt with Luke on the Falcon, it appears as though he has brighter gun metal two-tone'd helmet. This screen grab is from Vader Star Destroyer at the end of ESB. You can clearly see the two tone difference - the definitive black pain over the arch of the nose (I wanna call it a snout LOL), the silver/gun metal to the left and on the bridge between the eye lenses. The tip of Vader's snout doesn't pop as much here, but you can see how the tip's silvery paint matches better with the paint on the top of Vader's wearer's right cheek, and the neck extension. Vader's dome also looks it's most glossy and polished here. This screen grab is from Cloud City - the second part of Vader's duel with Luke - just after Luke flies out the broken window. You can see how the silver in the snout tip pops, but no other portion of the paint on the helmet pops in the same manner. Some might want to chalk this up to lighting, but the front of the wearer's left cheek would pop the same way as the snout tip and to a lesser degree than the tusks. But that cheek doesn't. To me, this is the most telling... Vader's dinner party. 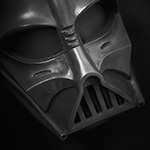 The snout tip is clearly popping from any other color/tone on Vader helmets (save for the tusk tips). The rest of the two-tone paint scheme is much more balanced and less visible. There's fairly even lighting coming from all sides as the overhead light is bouncing around off the light colored walls. Just added photos to the OP. I'd think it very likely there was at least two hero helmets. 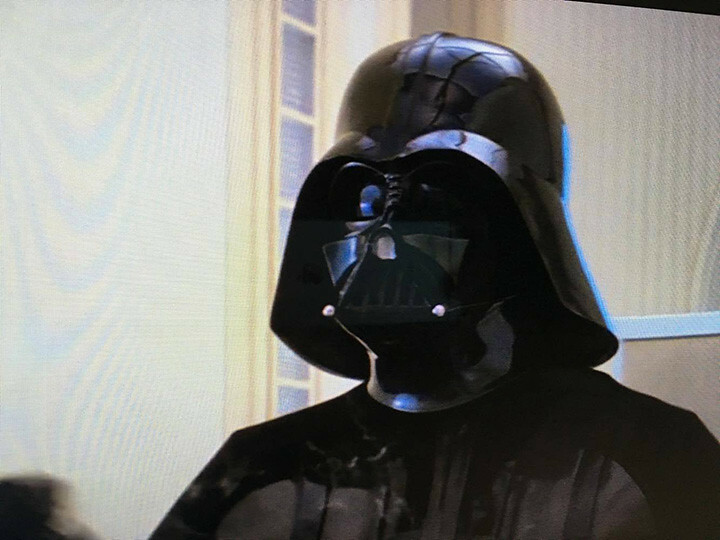 By ESB Vader was the coolest sci-fi bad guy ever, the production team were probably "cashed-up" after the box office success of ANH and could now afford to build plenty of costume props for its follow up. 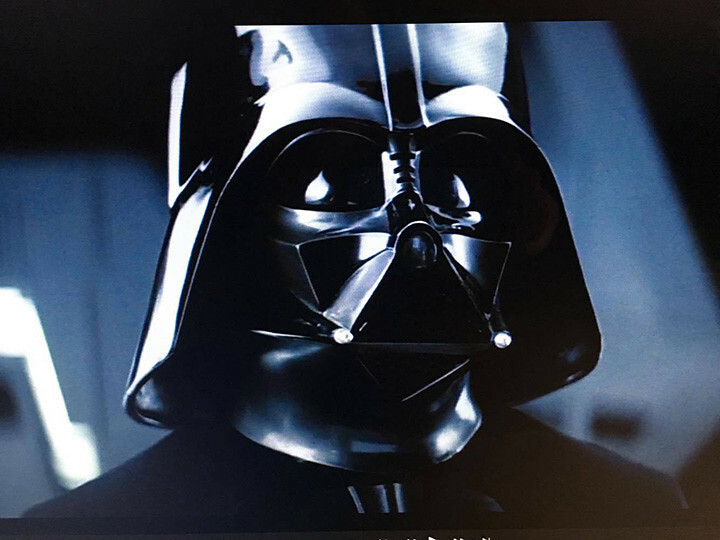 The nose tip is silver and not gun-metal grey, so I'd say most of what you're seeing is lighting, in the star destroyer scene the nose hollow is in shadow. It's totally possible that the (probably several) hero helmets were painted at different times during production and may have used different gun-metal paint mixtures hence the different shades of grey. And yes, that super smooth glossy finish, I just LOVE that finish That's the Vader that caught my attention all those years ago. 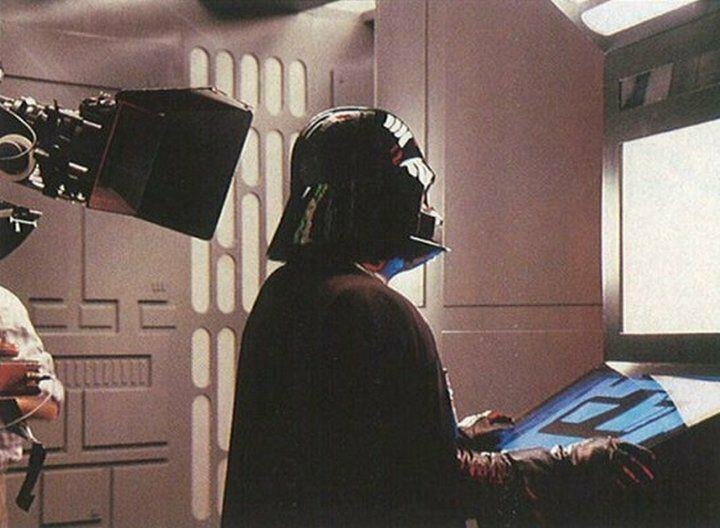 While not covered in the ANH flaws that we TM owners cherish, by ESB it was all about refining the look of Vader. Smooth and glossy finish (hey, it was the 80's lol) while retaining those sharp facial features, the smoothing of the ex-widows peak, well highlighted features like the lines of the eye brows which were hardly seen in ANH. I have to think the City in the Clouds Vader was probably the basis for the ROTJ Vader paint scheme. I don't think the paint scheme is any different. But what the prop team did by flattening out the curve of the widows peak baffles me. I'm pretty sure there are a mixture of ESB and ROTJ helmets used in ROTJ. ROTJ screen cap's anyone? I think its mostly due to lighting and exposure of the lens. From what I understand most if not all the known original helmets have pretty much the same colors and the once that are a bit different could be associated with aging factors. Of course this is just my opinion, from everything I've read and seen. Yeah, so much time has passed and with the original prop makers starting to pass, accurate information is scarce. Plus in film production circles staff move from film to film, one job finished, onto the next. I don't think the average employee cared too much as he or she would be constantly looking for the next job/project. I think we "enthusiasts" need to just relax and settle down a bit. I think we've become too obsessed by the smallest detail and have forgotten to just enjoy this teenage hobby and have fun getting to know eachother as friends. The paint will be a big question forever i think. Personally i don't think its possible to get the exact 100% color match today on a helmet compared with the real deal. Why? All the different lightning conditions, you also don't know which helmet got repainted or reworked in parts during production and over the years to its actual condition. Also the fact Juan wrote...paint changes its look over the years...remarkable sometimes. Its also important to know how thick the paint was applied, how many layers of clear coat (if clear coat), how were the helmets kept in storage over the past 30-40 years and last not least we don't know 100% safe how many helmets were used and if they really got the exact paint applied or not. Maybe the same colors but with different thickness, layers of clear coat etc. etc. 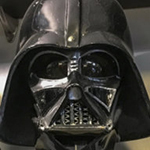 Even if you have a screen used and not reworked Vader helmet in hands next to a paint chart it would be difficult to get the right look the helmet had some many years ago. Not to forget that a vintage 70s or 80s paint is not comparable to what you get now. One other very important factor when it comes to Vader ( and that I've learned after painting a good hand full) is that the metallic paint really does change in appearance depending on the color underneath it. So with a layer of solid black underneath it the metallic color would look darker the thiner it was applied. Maybe the helmets that appear to be lighter in color just have a thicker coat of metallic paint. However I do insist that the difference on screen is really the result of lighting and exposure set on the camera. Darth Niob brought up yet another key point. Although not confirmed, its been said that some of the helmets did have a clear coat. This also affects the way the colors appear and react to the lighting. Good point on the silver/gunmetal Juan. It's definitely thin on the ANH lid, which throws off to a degree what looks right on the ESB/ROTJ that was sprayed. It's hard to tell what's right until the dome is on and you get the light reflection/shadowing as well. Tough to nail it down completely. I'm still not sold on the clear coat debate, and I don't bring it up to start anything. I've sprayed enough nitro lacquer years ago on guitar bodies then wet sanded/polished up to gloss to say I couldn't see enough difference in it and high gloss clear on top of it. I have a pretty good understanding of light and how it affects colors and tones. I know paint changes over the course of time - I'm just observing what's in the movie - that's why these apparent color differences within ESB are little puzzling. It's possible Vader was painted darker than people originally believed. At least for a couple of scenes. Holy cow, that was the WORST auto correct ever. The first two photos in the thread show the same mask...notice the same paint flaw on the inside of the nose area where the silver paint meets the black paint. Another factor is for reflected light we see the color of the light itself. In the case of the first picture, I'm pretty sure this is the lighting setup for that shot, as well as for the "That's it, the Rebels are there..." scene. The reflected light from this bright cool white light could be contributing to the "pop". It's yet another example of Kershner's masterful lighting techniques. Great photo, I've never seen this photo.